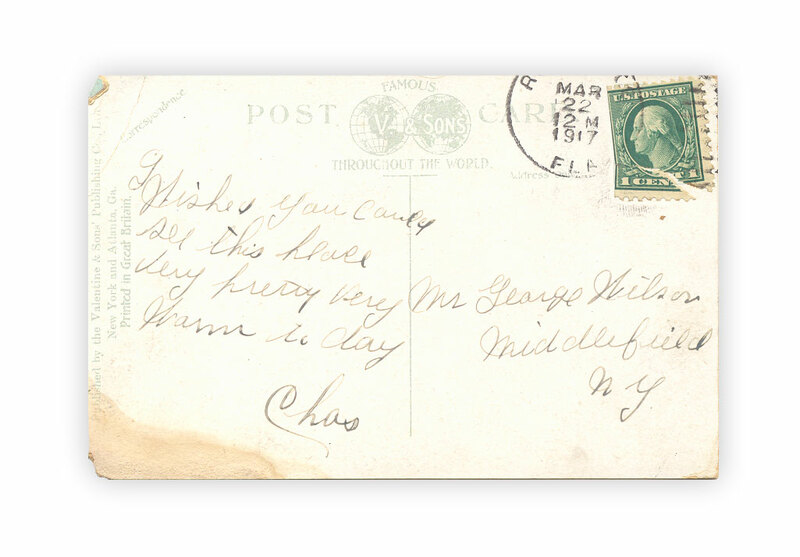 Postcard, dated March 22, 1917. Front features the riverfront of Rockledge, Florida. Wished(?) you could see this place. Very pretty, very warm to day. 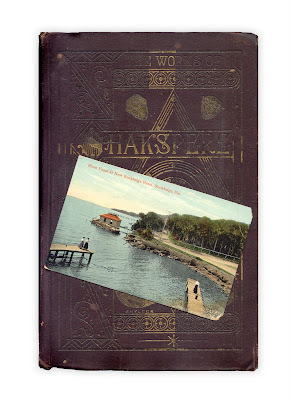 Found in "The Pictorial Edition of the Works of Shakespeare: Volume 1." Edited by Charles Knight, published by Collier around 1880.
lol, sorry I had to chuckle at patrickcollects comment. I would almost bet our mail would still be able to get to us with just our name, town, state and zip on it. As long as you have small local post offices, addresses are not always needed. I commented about how this was close to me on fb, I was wondering if you keep or sell what you find. I'd love to have this postcard. You can email at the address attached to my account.